Are you buried neck deep in debt? Afraid of losing your home and property because of overwhelming debt? Inundated with creditor calls or living in fear of lawsuits and garnishments? For people in need of debt relief in Oklahoma, a Tulsa bankruptcy attorney can help you explore the two bankruptcy options: Chapter 7 Bankruptcy and Chapter 13 Bankruptcy. This page discusses Chapter 13 Bankruptcy for Oklahomans. 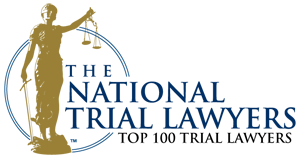 The primary benefit of Chapter 13 Bankruptcy over Chapter 7 Bankruptcy is that it can allow you to save your home or vehicle, even if you are significantly behind on your payments. It is also available to most people — even those who do not qualify for Chapter 7 Bankruptcy. Discharge some of your unsecured debts, which may include medical bills, credit cards, repossession deficiencies, foreclosure deficiencies and more, through a repayment plan that is affordable for you. 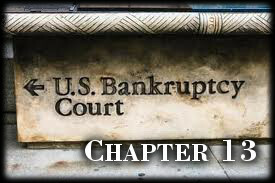 If you would like to know whether Chapter 13 is the right bankruptcy for you or whether you qualify for relief under Chapter 13, talk to an Oklahoma bankruptcy attorney at Wirth Law Office. Don’t wait until it’s too late to get your questions answered about this important matter. Learn about the various options available to you now. 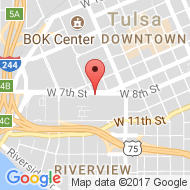 Contact Tulsa Oklahoma bankruptcy attorney James M. Wirth, Esq. at 1 (918) 879-1681 or toll free at 1 (888) Wirth-Law.